Shhhh…don’t tell anyone. Miss scrounge cat #2 is in a forbidden place. 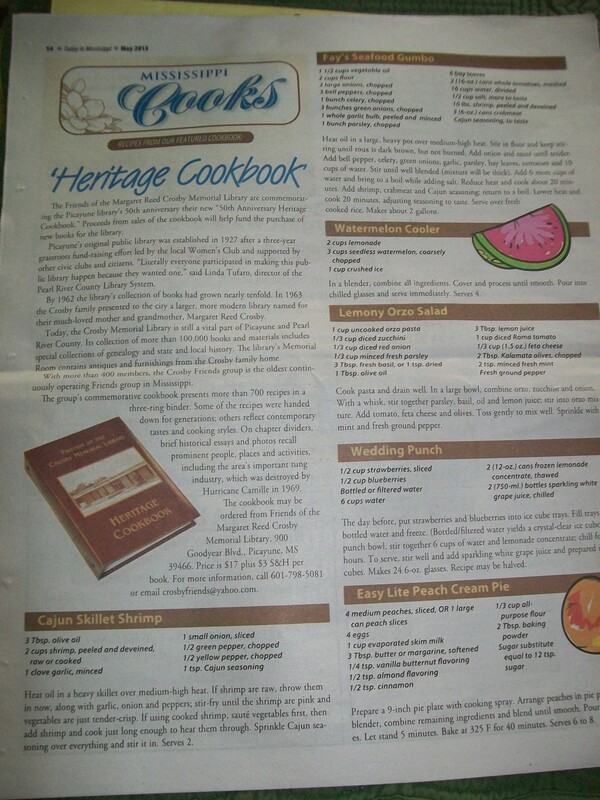 There are several reports on dining habits in this week’s edition. Click the Food Scrounge News tab to access research and nonsense. I generally don’t care for most recipes in fundraising church-type cookbooks, but these look worth trying. The roadside markets are loaded with watermelons. The watermelon cooler would be perfect with some vodka added. That cat really has got it made in your house hasn’t he. Scrounge cat # 2 tries harder to be outrageous. 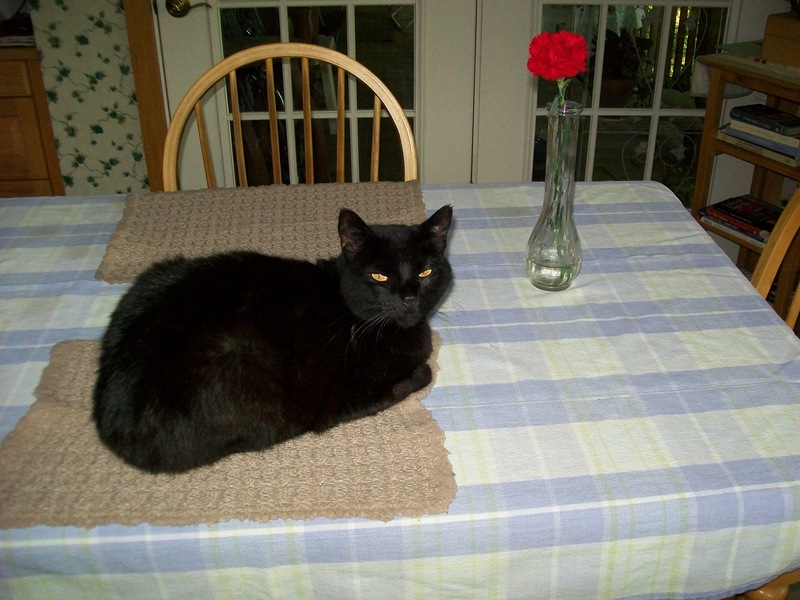 If Mr. Mike saw her on his place setting, she would have been chased around the house and escorted to the door! She peed on a window sill the other day. The Vet tells us it is kitty menopause but he doesn’t have to clean it up!